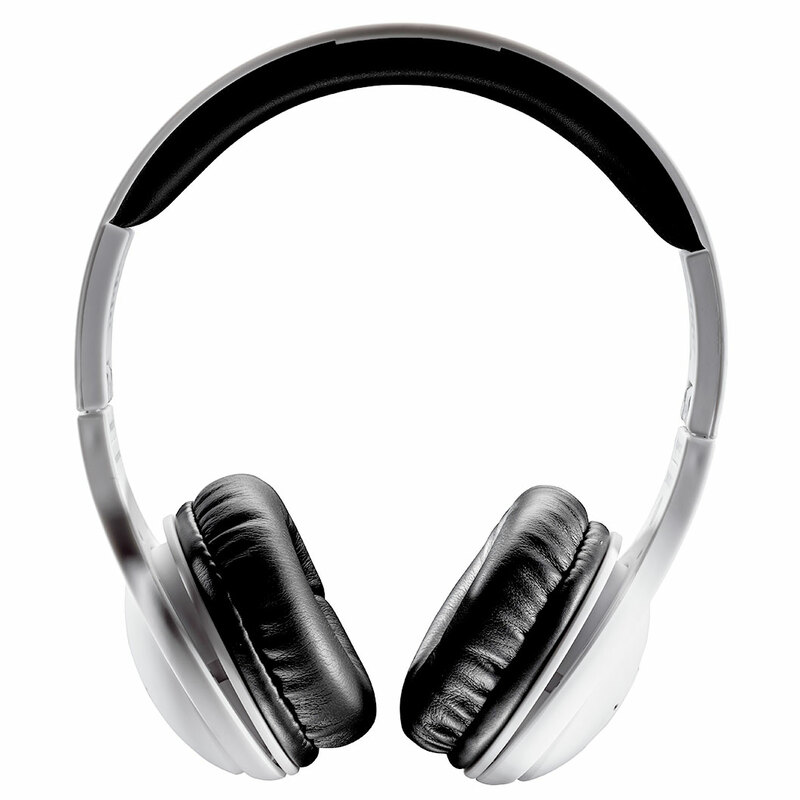 Enjoy your music without wires, compatible with all Bluetooth devices. 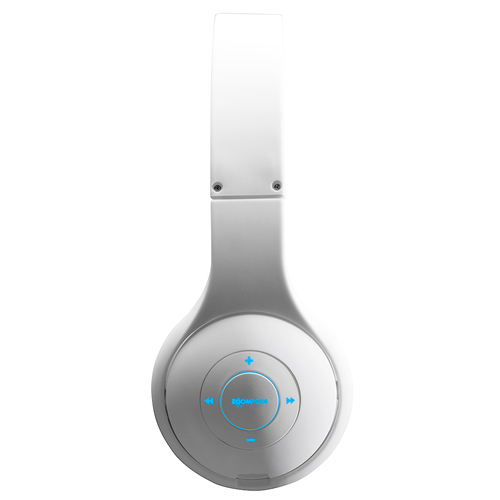 Built-in mic and audio controls, uses Bluetooth 4.0 technology. 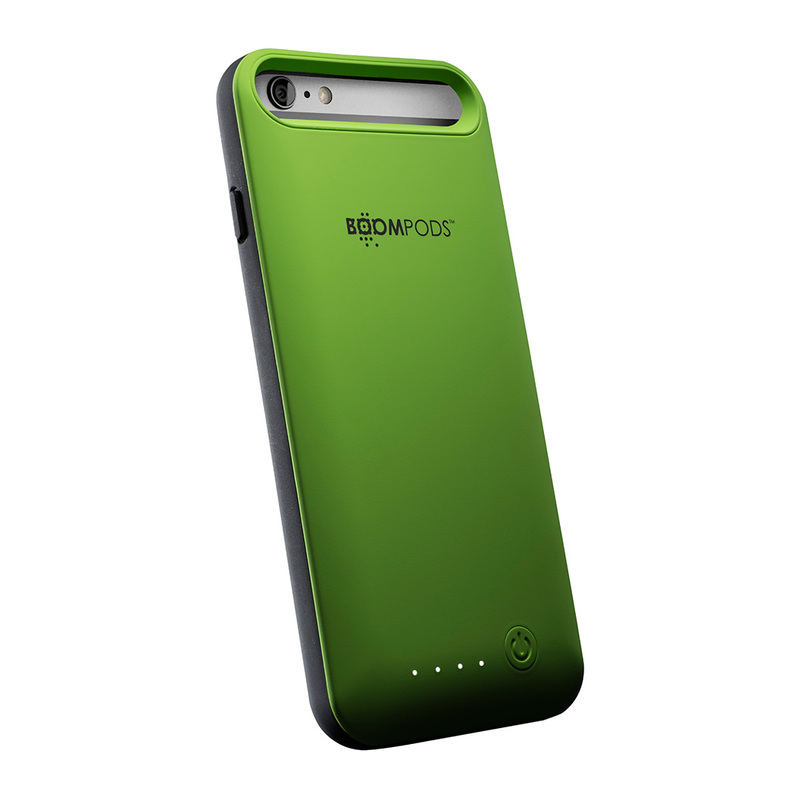 Folding design allows you to store in the Boompods neoprene travel bag and take anywhere. 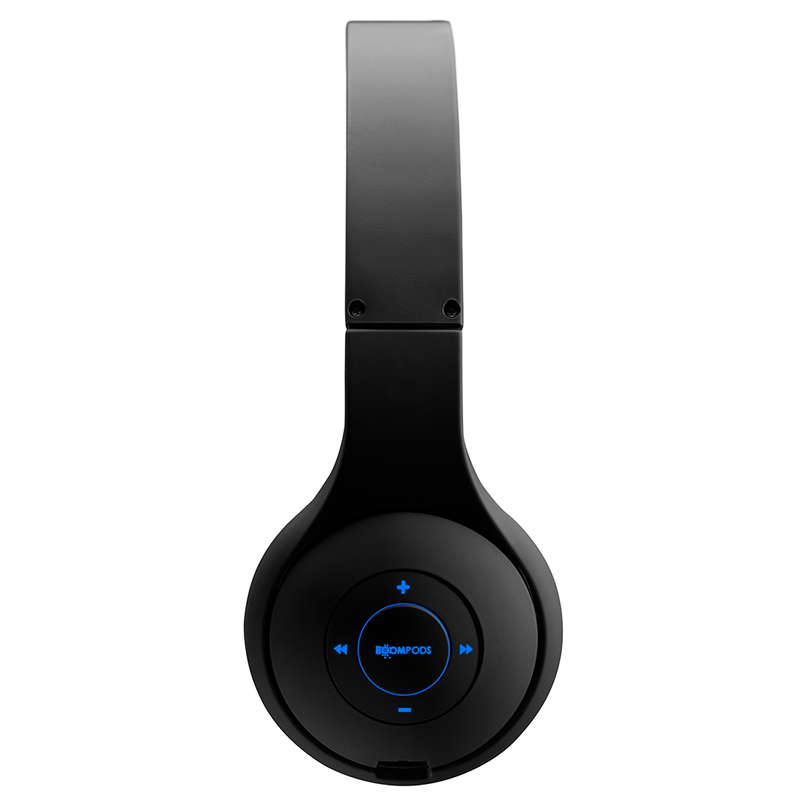 Enjoy your music while escaping the hassle of wires, compatible with all Bluetooth devices. A handy wired connection means you don’t have to rely on having fully charged headphones to feel the full range of all your music wherever you are. 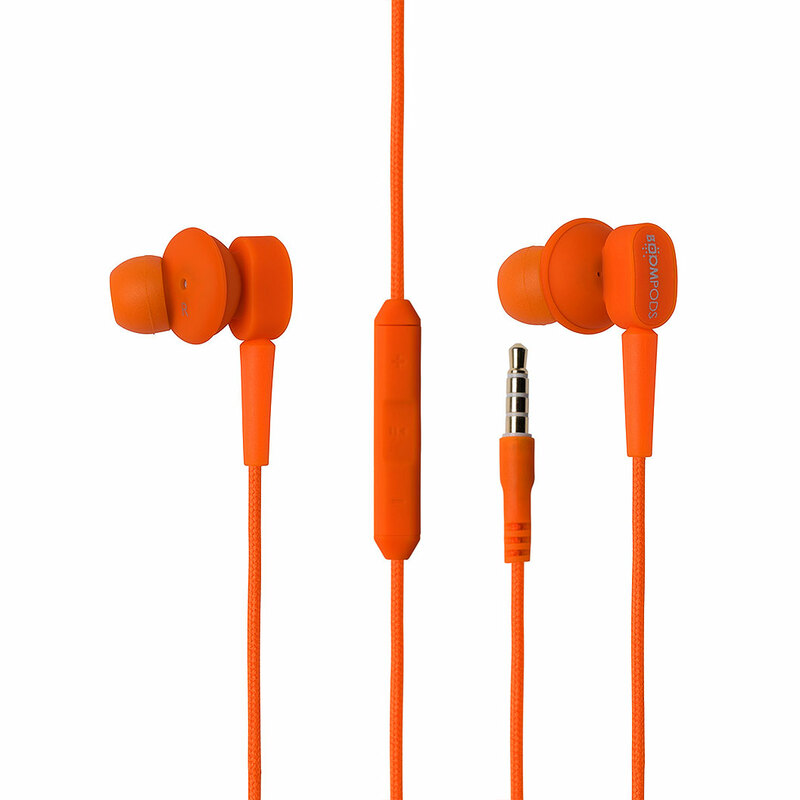 Built-in mic and music audio controls feature on the LED earpiece allowing for enhanced usability and convenience, compatible with all iPhone handsets. 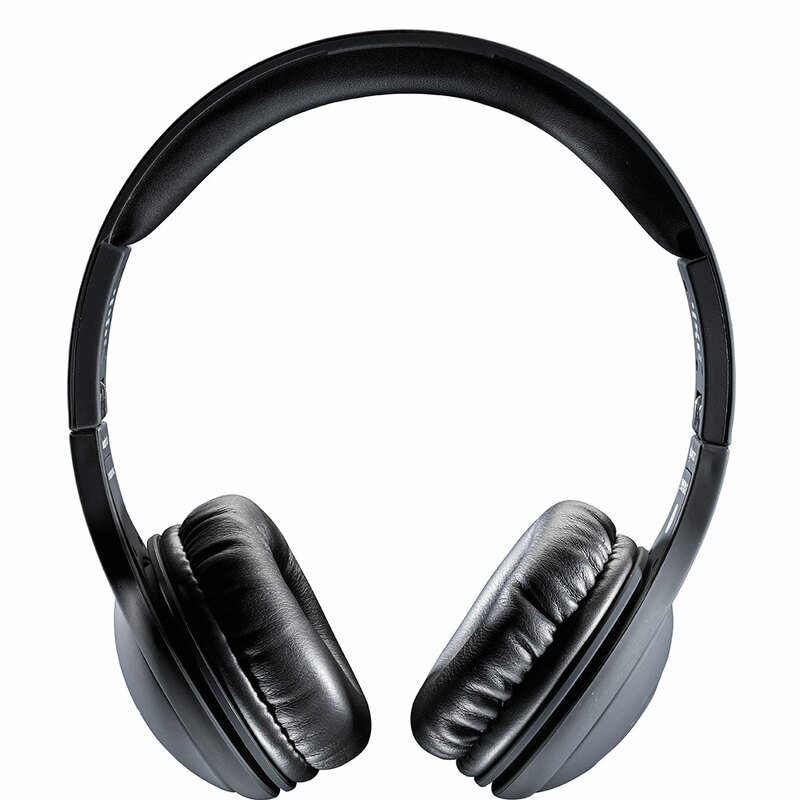 The powerful twin drivers enhanced bass and wide frequency range gives you the perfect combination of clear and balanced sound. Listen for up to 8 hours on a single charge. 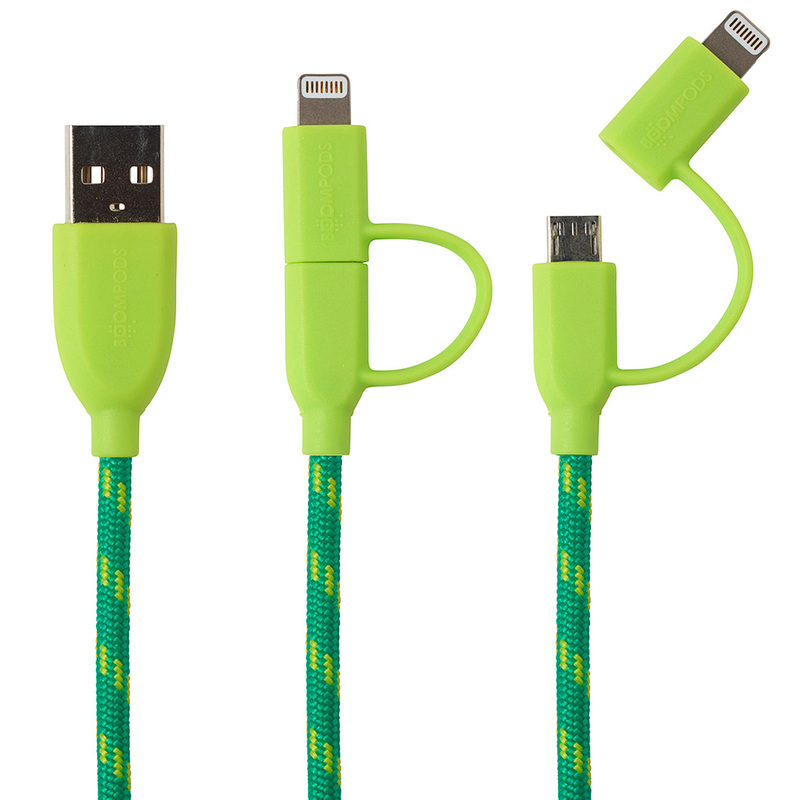 With 3 hours charging time, simply use the USB charging cable to connect to any powered USB port. 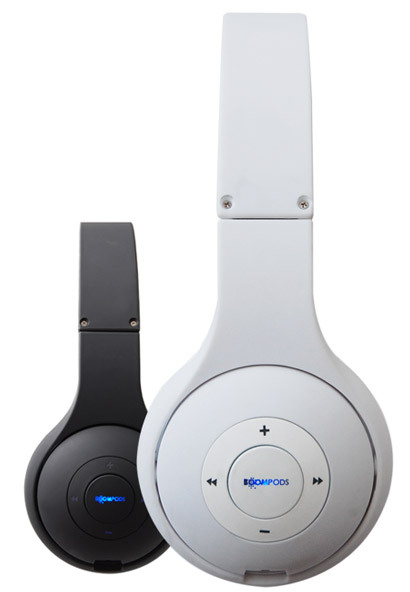 With a 10m range and Bluetooth version 4.0, you can connect to Bluetooth devices in your bag or pockets, or roam about the room while streaming from a tablet or laptop. 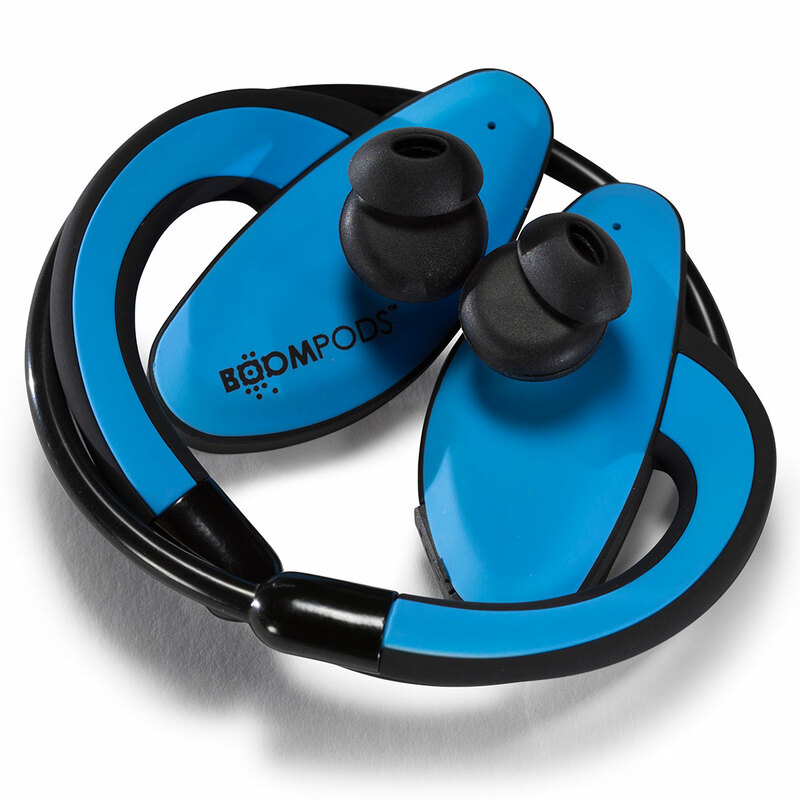 Fold up and stash in your handy BOOMPODS™ neoprene travel bag and you’re ready to go. Colours: available in matt black and white with a soft touch finish.